Classical Music Concerts in Prague. Our Agency organizing concert tours of Czech Orchestras and European soloists and offer a variety of programs for classical music concerts. We invite conductors to conducting courses with well-known teachers and Czech Symphony Orchestras. For composers and conductors: recording classical music with the full size professional Orchestra. Welcome to the choral workshops in Prag, Dresden and Vienna. 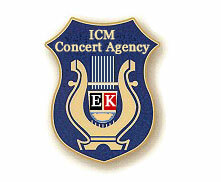 Welcome to ICM Concert Agency! The active and prosperous Music Art management organization established in 2015, organizing concerts and masterclasses in the Czech Republic. Our aim is to help organize and present successful cultural events in cooperation with our partners.Our endeavor remains to make each event a memorable experience!